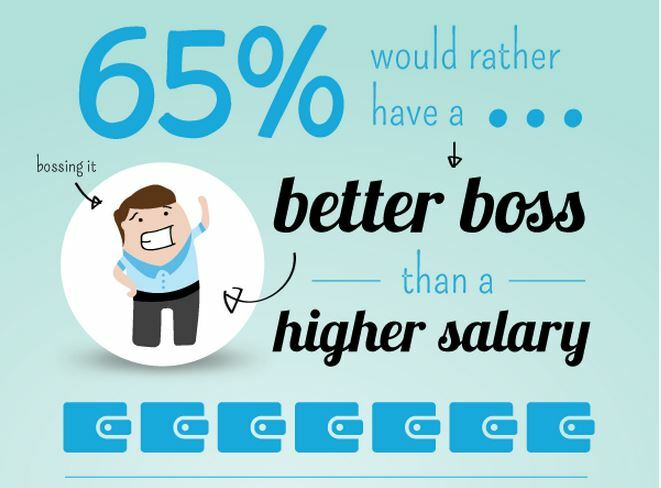 Are You A Terrible Boss? They say that nobody leaves a job; they leave a boss. The way an employee is managed on a daily basis has a huge impact on the way they work, the quality of their work and the amount of work they produce. More seriously, it may even have a negative impact on their health – a recent study showed that people with bad bosses are 30% more likely to suffer heart problems. If they are unlucky enough to have a bad boss, all of those things will suffer. In addition, bad bosses have a negative impact on the business’s bottom line – if an employee leaves because of their boss, it costs about £25,000 to replace them. If you manage a team that is under-performing or making a lot of mistakes, have you considered that you might be part of the problem? You might think you’re a good boss, but they might think you’re a terrible boss. Here’s how you can tell if your management characteristics are in line with those generally cited by employees to be possessed by terrible bosses. If a boss doesn’t communicate what he wants or expects from his team in terms of deadlines, end results and so on, they end up having to guess, which can often lead to things going wrong. In addition, a company that isn’t open and transparent with employees about its direction, profits and processes can lose good employees who want to be fully aware of the way in which their employer operates. Bosses have to promote a long-term plan for the company or for their individual teams in order to allow employees to become positively invested in the organisation’s mission. After all, if there are no obvious goals to aim for, what do employees have to look forward to with regard to coming into work every day? In a similar vein, the best way to engage employees and increase the quality and productivity of their work is to ensure that their achievements are recognised and rewarded. Bad bosses ignore employees until they make a mistake and something goes wrong, which is when they pounce on them. If a good employee thinks that he or she will only be noticed when they do the wrong thing, they will leave. As senior members of staff, bosses need to be approachable when they are in the office. There might be questions about projects that need clarification, problems that need dealing with or other decisions that cannot be made by a non-senior person, and it slows down processes and tasks if employees do not feel as though they can bring something that requires attentions to their boss. If these characteristics ring a bell with you, do not worry: help is at hand. This infographic by Thales L&D defines the seven traits of the ultimate leader, combining the styles of a managerial leader and a visionary leader, both of which have their positives but ultimately aren’t effective as management styles adopted on their own. With the help of the infographic, you should be able to correct the way in which you lead, bringing out the best in your motivated, happy team and ensuring that the business has a secure footing on which to move forward. One Response to Are You A Terrible Boss? If you are using wireless mouse then you can face some problem if you don’t know the features properly here you can know why my mouse is not working all the features that can be inbuilt in this homepage and all the process should be very easy to know and also give the installation process.